Occasionally, we have older dogs available or retirees from our breeding program. Check back here for information on availability of these types of dogs. Oftentimes, these dogs will have a good amount of training on them and be excellent companions for a home which does not want to go through the 'puppy stage'. This is one of the many reasons we love the Golden Retriever breed! They can come into your life at any age and bond with you as if you had been their family all along. 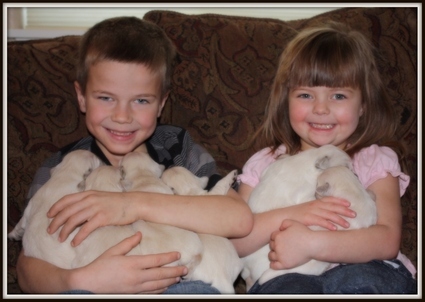 If you are interested in one of these dogs, please fill out our online puppy application.